I remember running home to watch The Monkees on TV. Followed by Gilligan's Island then Hogan's Heroes. They don't make shows like that anymore. Great songs from this show, whatever the reason for their creation. A 'burst!! This is the first picture I have seen of Marriott with a 'burst. And a beautiful one at that. Double whites in both positions. I ran across this picture on one of the forums and thought it should be shared. James Anthony was kind enough to provide a clip of a 12k humbucker that I made for him. The guitar is an ES 339 through a '67 Vibrolux with Eminence Red Fangs. Here is an interesting little project I just completed. A customer sent me two Melody Maker single coils pickups for a re-wind and a P-90 mod. I can't take credit for the original idea as he provided me with a link to the site where he had seen it. The magnet in the coil is replaced with a steel bar and two magnets are used on the bottom. You can see from this photo that the whole package still fits nicely in the original cover. For the re-wind I used 43 gauge plain enamel wire and put 9800 winds on the bridge and 8800 winds on the neck. The inductance readings for both are right on with what I usually get from a P-90 so this set should really smoke. I like it when Joe starts talking about how he can't get the tone he wants out of a Fender. The second part is there as well. It's obvious there's more but I can't find it. One of my favourite guitar players with a great rendition of this tune. Sweet faded top with a bit of flame. I love the aging on this one. There's a lot of great old bursts at Burst serial. Here's a site I happened across doing a search. It has old videos from the sixties and seventies. Also has lyrics but I couldn't find those. Some great stuff on there. Old Amboy Dukes and Grand Funk Railroad. There's also a link to a classic rock radio show every Saturday. For my taste it doesn't get any better than a Les Paul straight into a Marshall. Big, full and loud. One of the forums I post on has a thread titled "Show a picture of your pedal board". There's a lot of pictures with more pedals than I can count on some boards. I keep meaning to take a picture of my wah pedal and post it, just for fun. I just discovered Rufus Huff and it's as good as it gets. An original 1958 Les Paul through a Marshall. I remember hearing this song on the radio. Checking them out on Youtube it's amazing how many of their songs I do remember. I have been aware of Gibson's on-line lessons for a while but they have really expanded the number of lessons they have. I went through a couple today and they are pretty good. More on theory and technique than just playing songs. Now it's back to the winder. I have always liked this tune. Actually the whole album is good. Here's an excellent film reel about the Mullard Blackburn works. I remember this type of film from my grade school days. Frank Reddon's book is finally out. I got it the other day and I'm about 40 pages in. For those not "in the know" it's about Led Zeppelin and the impact of their first year or so. Reddon interviewed musicians and fans who were there for the book. It's been a while for an update so I when I ran across this I thought I would share. This is an excellent film on the state of the music industry. Excellent points of view from some serious musicians and fans. A while back I posted about the Vanderbilly site and the lessons there. Here's something I happened on from that site. None of the people involved ever met for this. They recorded their parts separately. Superb job. Colin Black sent me their cd. Best modern blues I have heard in quite a while. 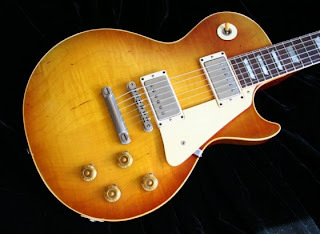 I just finished reading "The Early Years Of The Les Paul Legacy" by Robb Lawrence. Very informative with some excellent 'burst pictures. This is the first of two volumes with the second being due in October. The book details Lester's life from the early days to 1963. There is information on his earliest professional outings right up to his days with Mary Ford. All the great innovations are there from multi-tracking to studio effects. And of course, the guitar itself. It wouldn't be a complete book without that. The book goes over the timeline of the model giving dates and changes over the period from it's development to the first demise of the model in 1963. The second volume is supposed to pick up in 1968 with the first re-issue. A really well done book about the man and the guitar and well worth the money. Incredible tone from the Rev. Well, I do if you haven't noticed yet. Here is one that has the most extensive photo set I have ever seen. The detail is amazing. Not to mention it's a great looking guitar. I got my hands on some rough cast Alnico magnets. Rough like they used in the 50's. I like the look of them as opposed to the polished. I am using them as an option on my humbuckers and P-90's but I only have Alnico 2 and 3 at the moment. I'll get A4 and 5 when they are back in stock at my supplier. 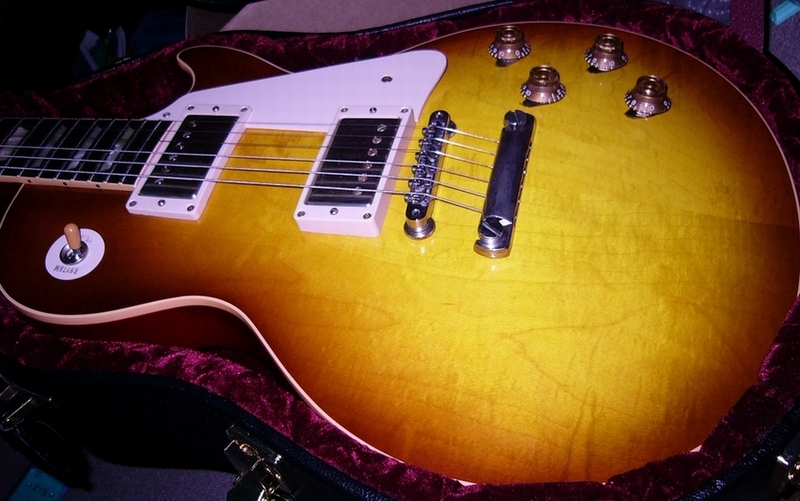 I recently purchased "Gibson Guitars Ted McCarty's Golden Era". For those of you who don't know McCarty was president of Gibson from 1948 to 1966. His main passion was engineering though. He was responsible for the ABR-1, the Explorer, Flying V and the Moderne among other things. 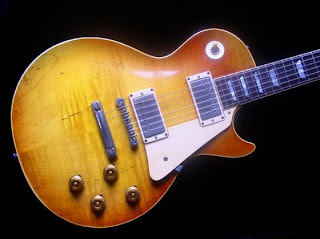 McCarty also oversaw the development and production of the original Les Paul. I'm thinking everyone knows that story though. Not to give too much of the plot away the book follows McCarty from childhood to Wurlitzer and then on to Gibson ( with a lot of detail of that period obviously). This is live from the BBC recordings. An absolutely kickass version with the boys in top form. I picked this one from the listing at the back of Strange Brew. It is not disappointing. 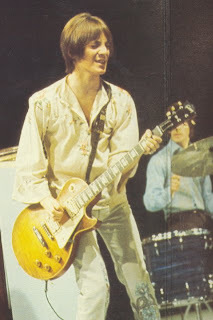 All the recordings were done for broadcast on various shows for the BBC between 1968 and 1970, although 4 of them were done after Peter Green left. As always great tone and playing. Peter wrote this for his girlfriend of the time. Here's a clip done by Brett Jenkins of a set of pickups I made for him. This is one of four that he did. Awesome tone, if I don't say so myself. Just picked up this little gem. Recorded live at the Shrine Auditorium in, of course, 1969. Fleetwood Mac were in absolute top form here. The recording is not great but not bad. Excellent tone from Green and Kirwan. The album is set up so that what you hear is what the audience heard, track for track ( or so I believe). It never falters from the tune up at the beginning to the closer "Great Balls Of Fire", with Jeremy Spencer giving a great performance.